Scott brings three decades of emergency communications experience to MCP. Scott retired in 2015 after completing a 28-year career with the Pennsylvania State Police (PSP). At the time of his retirement, he held the rank of Major and was the Director of the Bureau of Communications and Information Services, responsible for the operation and maintenance of the Pennsylvania Statewide Radio Network (PA-STARNET). The first 911 call was made 51 years ago in Alabama. That call marked a significant technological advancement that enabled citizens to activate an emergency response much quicker and more efficiently than ever before. Since then, public safety officials have continued to leverage communications technology advancements to make emergency response even more efficient and effective. These include the advent of Enhanced 911 (E911) service, digital land mobile radio (LMR) networks, and the introduction of computer-aided dispatch (CAD) systems and mapping applications. 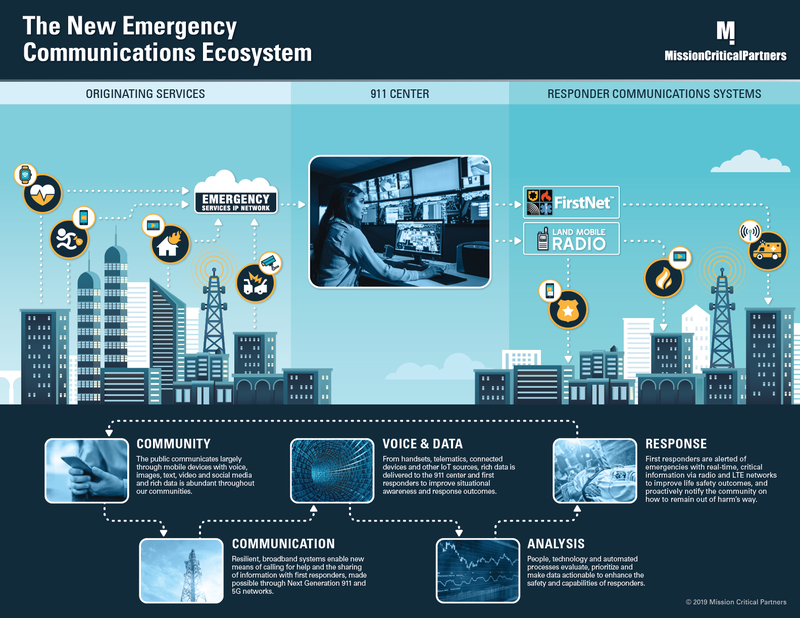 The counterbalance is that these advancements occurred in distinct silos that developed within the emergency communications ecosystem.